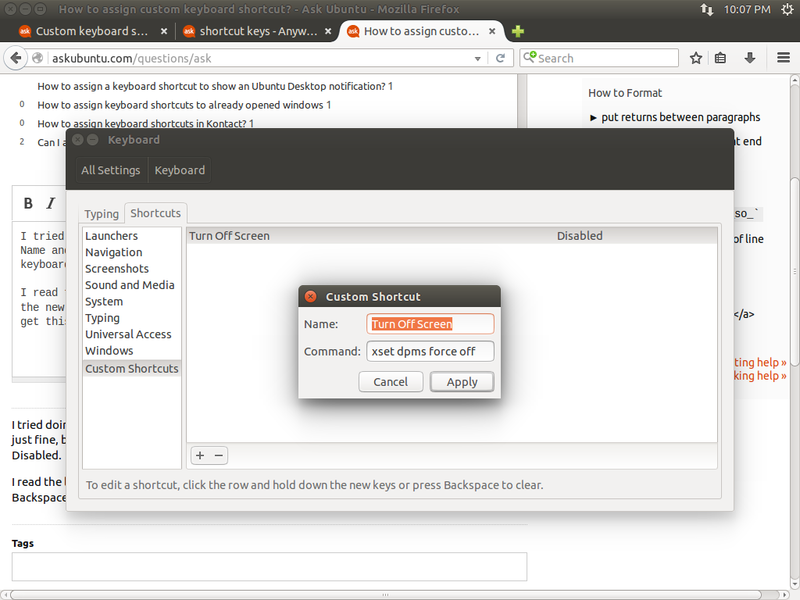 How to assign custom keyboard shortcut? I tried doing it by Keyboard > Custom Shortcuts > +, where I can enter the Name and Command just fine, but I can't seem to understand how to assign a keyboard shortcut to it. It just says Disabled. Nothing happens if I press any key combination. It closes only after I click Apply, and then also stays at Disabled. Not the answer you're looking for? 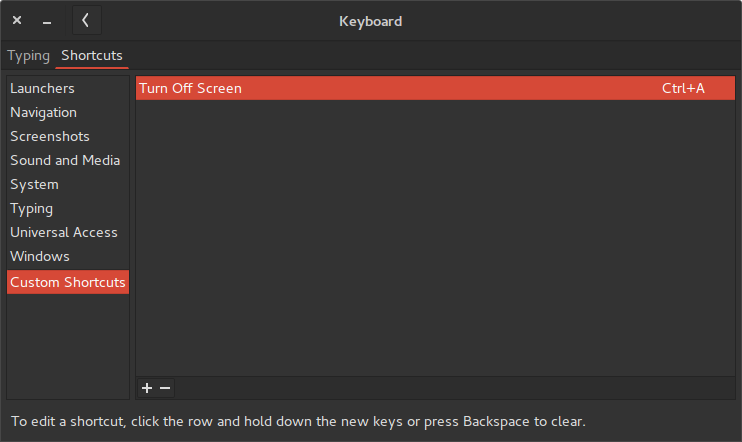 Browse other questions tagged keyboard shortcut-keys customization system-settings or ask your own question. How to diagnose and / or troubleshoot keyboard shortcut issues?